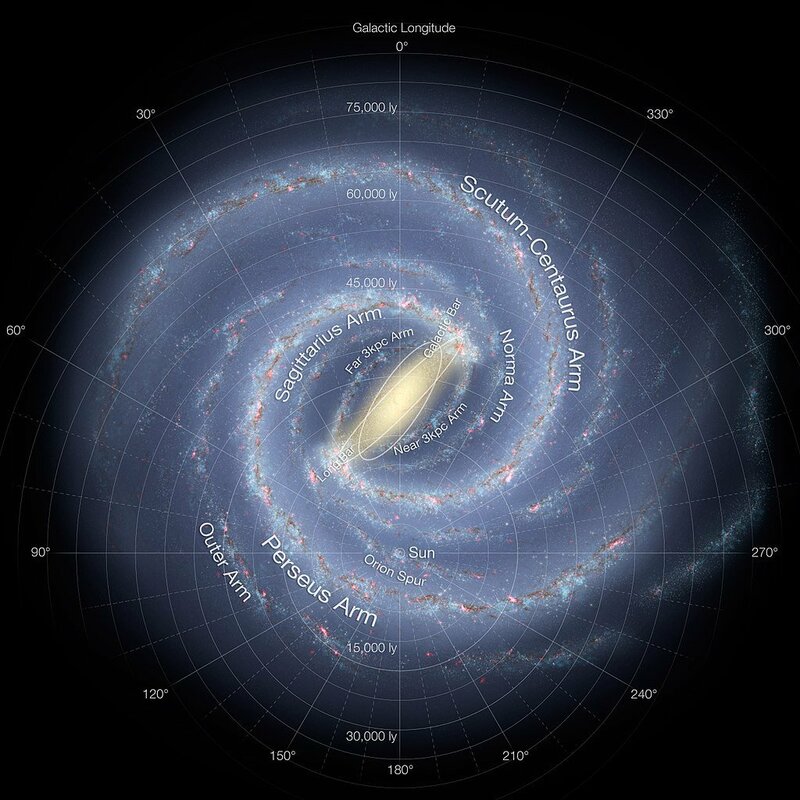 Spiral Galaxy: How Do We Know The Milky Way Is A Spiral Galaxy? 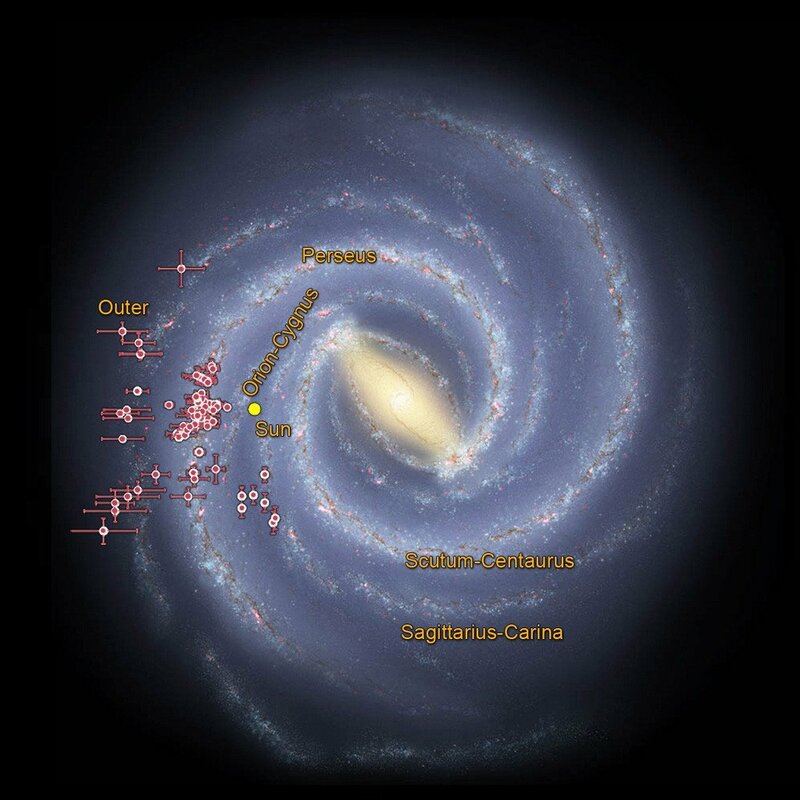 How Do We Know The Milky Way Is A Spiral Galaxy? For humans, the act of determining the shape of the Milky Way galaxy is equivalent to a microbe determining the shape of the Earth. We are incapable of attaining an appropriate vantage point to discern it, because it lies, of course, outside the galaxy. Examining a galaxy from its exterior discloses us with its topography in all its voluminous entirety. Edward Hubble, probably the most lauded of astronomers, narrowed down the structure of galaxies into four basic shapes: spiral, elliptical, lenticular or lens-shaped, and irregular. Despite modeling several of our neighboring houses by scrutinizing them from behind our windows, it is our own apartment we haven’t managed to trace. 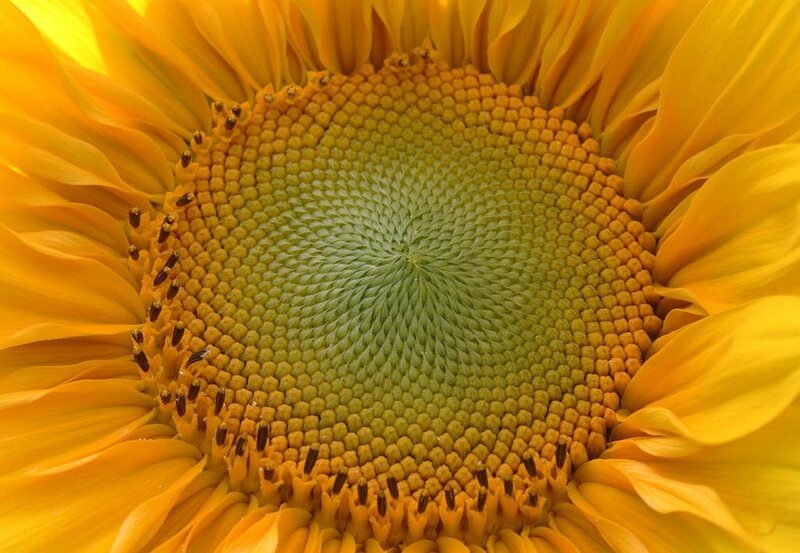 Although we haven’t mapped the entire Milky Way galaxy to prove it, we do have some clues that emphatically suggest it is shaped in spirals, like the seeds of a sunflower. The successive discovery of each clue has further cemented our claim about the Milky Way galaxy’s shape. The first clue can be obtained by simply gazing at the stars embossed onto the dark, night sky. 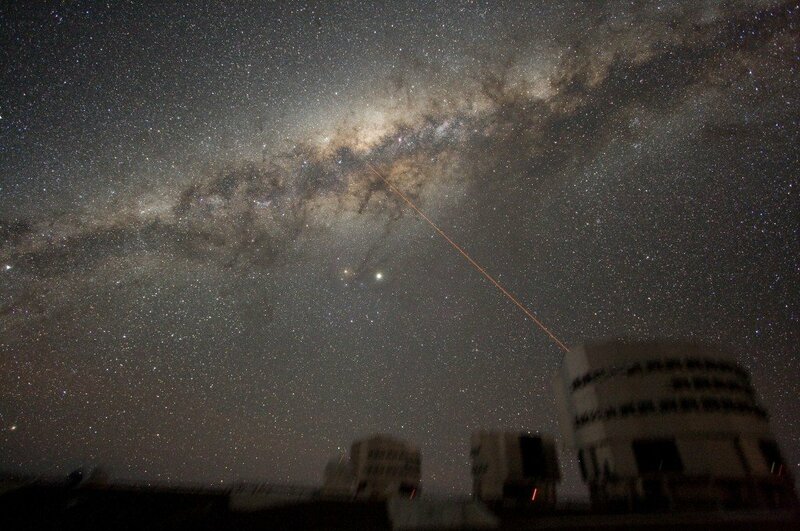 In a region devoid of air pollution, the Milky Way galaxy can be observed with the naked eye. While relishing this scenic beauty, an observer would notice that the glinting stars are aligned in a narrow band stretching through the darkness. Between this band lies a bulge, a misty region that is less narrow than the band on its either sides. The appearance of such a compressed strip of stars suggests that we are looking at a disk edge-on. The galaxy exists as a flattened disk with a bulge — the galactic center — in the middle. Initially, this rendered me incredulous; I seem to find stars wherever I turn my gaze. However, the disk becomes clearly visible if you map the sky from hundreds of different locations. In the 20th century, astronomer Jacobus Kapteyn, with the help of several other astronomers, did the same from more than 600 different locations. Together they photographed the sky to create a high-precision panorama of the Milky Way galaxy. The arc in which the stars are concentrated is clearly visible in Jacobus’ map. Now, astronomers have narrowed down the arc’s angle to 15 degrees. Also, the disk is conspicuous in the images clicked during the 2MASS survey that photographed the galaxy in infrared light. If the galaxy were shaped differently, the alignment of stars would have also been drastically different. For instance, if the Milky Way was spherical, the stars and their glow would have been dispersed all over the sky, not limited to a column. Whereas, if its shape was elliptical, such that we would be either below or above the plane, the sky would have been divided in a way where one side would be brighter than the other. Another clue indicating that the shape of our galaxy is a spiral is the manner in which the stars that comprise it move. When we locate them and measure their velocities, we find that the vector harbors a rotational component that differs from random motion. This is a characteristic of spiral galaxies. Stars, like our sun, are born when a tremendously dense cloud of dominantly hydrogen gas coalesces under the force of gravity. The remnant hydrogen dust or gas is dispersed by the newborn star’s flares. When this cloud interacts with light, it scatters the photons haphazardly, producing luminous spots in the star’s vicinity. One can locate stars by searching for these spots, which act as landmarks for stellar daycares. When astronomers located these spots, they found that the stars are concentrated in spiraling branches that protrude from a blinding luminosity in the center. We refer to these spirals as the ‘arms’ of a spiral galaxy. 75 more years of research that involved radio, infrared and even X-ray telescopes verified their existence and found that the spiraling clouds stretch across 100,000 light-years (the disk’s diameter) and are 1,000 light-years thick (the disk’s thickness). On this sumptuous disk, our meager Solar System lies on the inner edge of an arm about 25,000 light years from the center. What Jacobus started will be finished by the Gaia satellite. Our crude maps can soon be crumpled and flung into a discarded bin, for the satellite is on its way to construct the largest and the most accurate map of stars in our galaxy. It aspires to map the approximated 1 billion stars, planetary dust and every celestial entity in detail that has yet to be achieved. Following the discovery of the galaxy’s arms, there was a long-standing debate over whether the spiral comprises of four or two of them. This was settled by NASA’s WISE when it confirmed the existence of four arms, which we named Norma and Cygnus, Sagittarius, Scutum-Crux, and Perseus. What’s more, the galaxy is not just a spiral, but a barred spiral — the spirals don’t emanate from a circular point, like the petals of a lily, but rather from the two shorter sides of a rectangular bar resting at the center of the galaxy. The third and simplest way we can determine the shape of our galaxy is by referring to the duck test. Particle physicists discover a new particle by first predicting its existence mathematically. The particles are so elusive and their existence so ephemeral that even the most scrupulous detectors cannot apprehend them. Similarly, we study the properties of other spiral galaxies, such as the content of dust, the order of stars and their velocities, and compare them with what we find in our own galaxy. Apparently, the findings are as similar as the appearance of two twins. The flat disk, gas friction, color and dust content are traits that are shared amongst all spiral galaxies. However, for those who are not yet convinced, another – and the most lucrative – method is to propel a satellite at the speed of light outside the galaxy. The satellite could click a lovely picture of the Milky Way galaxy loitering in the darkness that would finally convince the skeptics of its spiral visage. Unfortunately, not only would the satellite take 10,000 years to exit the galaxy, but after the picture is clicked, it would also take an additional 10,000 years to reach us. So, if you thought delayed service at restaurants made you indignant, then your patience is put up to a real test here. Akash Peshin is an Electronic Engineer from the University of Mumbai, India and a science writer at ScienceABC. Enamored with science ever since discovering a picture book about Saturn at the age of 7, he believes that what fundamentally fuels this passion is his curiosity and appetite for wonder.